We have 11 fully stocked service trucks! Columbia Fleet Service Offers Truck Repair & Fleet Services You Can Count On! 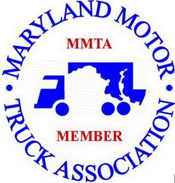 Since 1991, Columbia Fleet Service has provided fleet vehicles in the Jessup, MD 20794 area with comprehensive repair services that include Brakes, Collision Repair Services, Drive Train, Electrical, Electronics, Emergency Roadside Assistance, Engine Work, Front End Services, General Services, General Services, Miscellaneous Services, Suspension Work, Towing & Recovery, Trailer Work, Welding Services and Wheel Services. Our goal is to offer the best services available at affordable prices to get you back on the road in no time. 410-799-2500 or send us an email. We also invite you to learn more about our dedication to you, our valued customer.